Any business owner or brand manager should know by now that social media can open up a world of possibilities with respect to commerce, conversions and other desired actions. The first and most dominant platform for social media users is obviously Facebook, which currently claims one billion users. However, there are plenty of other social media networks that can be great sources for niche traffic and community connections that are being overlooked. One of these is Instagram, which has consistently been one of the fastest growing networks in percentage growth over the past couple of years. Why should you start using Instagram today? We’ll outline the main benefits to you and your potential users below. Many social media networks require a variety of content approaches in order to be successful. With Instagram, it’s all about the images! What makes Instagram so simple is that many elements of work that’d apply to content distribution or images on other social media networks are all built into the interface. 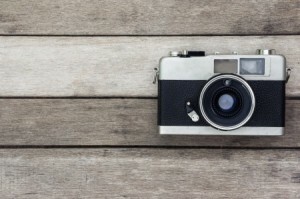 Need to crop a photo before posting? It’s easy to do! Want to add a variety of filters and effects to a photo? This particular benefit is what made Instagram so popular in the first place. You can quickly turn even a drab photo into a lively masterpiece from within the interface itself, leaving you with more time to create other forms of content elsewhere and the need for fewer photo editing solutions. Instagram was one of the first social media networks that was built from Day One to take advantage of mobile devices, and it shows in its app interface. As mentioned prior, the app has a variety of tools that allow you to customize photos and get the most out of them. As a result, you’ll be able to make candid observations while out and about, capture them with your mobile device and share them in mere seconds. All of this makes Instagram one of the best – if not the best – multimedia social media network for mobile users out there. Some might say that Twitter is better for pinging servers with short bits of information (and it does feature multimedia capability as well), but Instagram was built for the mobile multimedia experience. For a variety of reasons, Instagram is a great network through which your brand or business can make a serious impression. For starters, its network of 300 million users isn’t too shabby; it also features one of the highest rates of active members of any social network. Since Instagram focuses on the visual implications of sharing, you will be able to use this to your advantage as you continuously seek out new ways to promote your brand through photography (this habit can come in handy in a variety of other social media situations as well). Furthermore, the prevalence of hashtags on the network make it the ideal spot for combining them with multimedia; while you’re pinging servers with content that people enjoy, you’ll also be making valuable impressions, gaining followers and building a larger community of individuals who are interested in what you have to offer.